PDF is the format of choice for many professionals and casual users. PDF documents are easy to create and provide a level of security and format consistency not present in other document formats like text or word. They can also be read on a variety of platforms – PCs, Macs and cellphones – without a hitch. Since PDF documents are security oriented, you can’t edit them – you have to convert PDF to word or another format first. There are several services and programs out there that you can use to convert your PDF documents to Word for free. We’ve gathered some of the more convenient options that you have access to in this article. You can use widely used Adobe Acrobat program to convert your PDF files to Word for free. Keep in mind that any images you have in your PDF file won’t be transferred to the Word file automatically. You will have to do that manually. If you own Adobe Acrobat (probably the best tool for working with PDFs), open the file you’re looking to convert to Word. Once the file is open, click the “File” menu at the top on the task bar and find the “Save As Other” option. You will be given a choice to save the PDF file in a variety of different formats – including Word, Spreadsheet, Microsoft Power Point and HTML web page. Choose the Word format as the output format. The conversion process takes a few minutes at the most and the file is saved to the selected location. Adobe Acrobat is not a free program, so you can use Adobe Reader to convert your PDF file instead. 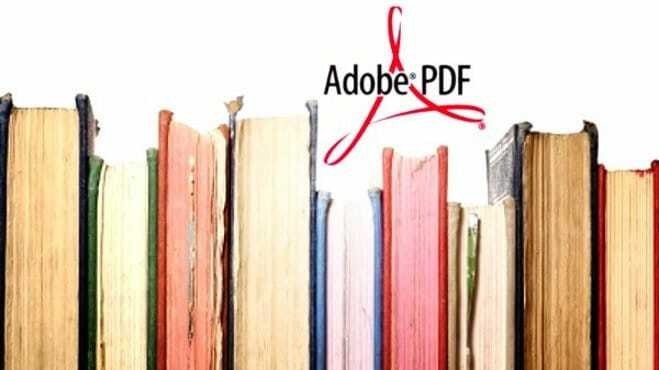 Adobe Reader can be downloaded for free here. If you have Adobe Reader installed already, just open the PDF file you want to convert and find the “Save As Other” option in the file menu. In the submenu, choose the “Word or Excel Online” option. A new window will open up to the right of your screen. Here, click on the convert button. Please note that you need an internet connection to take advantage of this service. The process could take several minutes, depending on the size of your file and the speed of your net connection. The biggest disadvantage of using Adobe Acrobat or Adobe Reader to convert to Word is that you can’t queue several files for converting at once. If you are going to be converting a lot of PDF documents, it’ll be much more convenient if you downloaded a free PDF to Word converter program that features a batch mode. UniPDF is one of the most highly rated free PDF to Word programs around. Apart from letting you convert PDF to Word, it also lets you convert to Text format, HTML and Image format (JPG, TIF, BMP and the like). The standalone program is light and easy to use and runs on all versions of Windows. If you are using a Mac, you can use the iStonsoft PDF to Word Converter. It’s a simple program with a no-frills interface. If you have fast internet and can’t be bothered downloading software, you can just convert your PDF documents to Word online. There are many sites that let you queue batch downloads too. Online-convert.com lets you convert multiple files to Word for free. Uploading files is quick and the process takes no more than a few minutes at the most. Another popular service that many people use is zamzar.com. Unlike other converting services, your files (once converted) can’t be downloaded directly from the website – they will be delivered to your inbox instead. This is a big advantage if you want to keep a record of the conversion or download the converted files later. They also have a paid service that you can opt for if your PDF document(s) exceeds 100mb in size. If you don’t own Adobe Acrobat or Adobe Reader and want to convert a single PDF file to Word, you can use convertonlinefree.com. To sum it up, it’s easiest to convert a single document using Adobe Acrobat or Adobe Reader. For multiple documents, it’ll be more convenient if you download a converter program. Alternatively, you can opt for an online conversion service to convert to Word too.